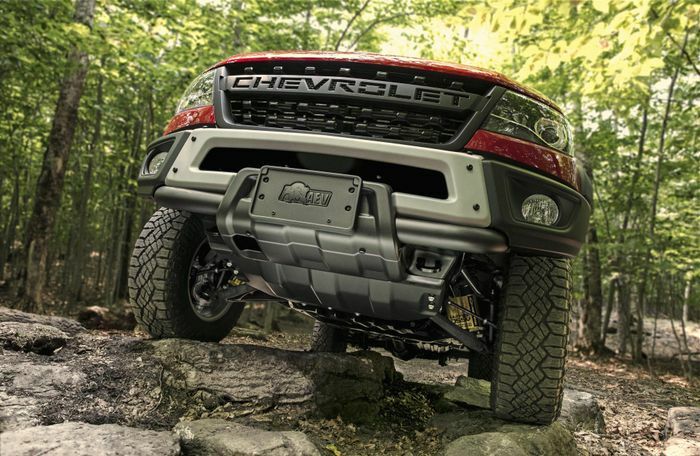 Feast your peepers on this new animal, fresh from a partnership between Chevrolet and American Expedition Vehicles (AEV). 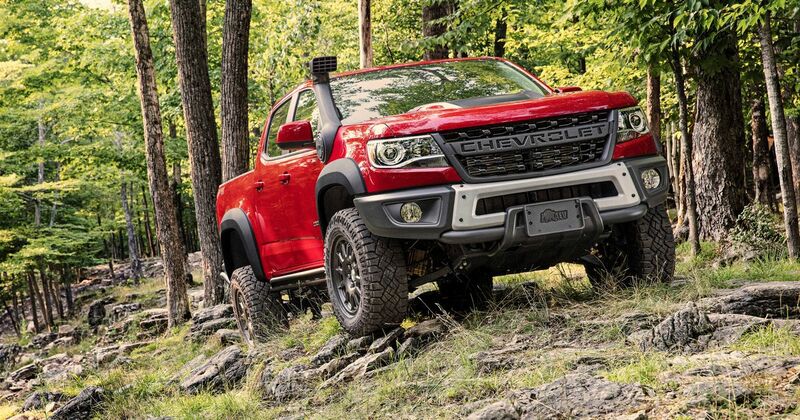 Named (awesomely) the ZR2 Bison, its added touches turn it into an even more serious off-roader. 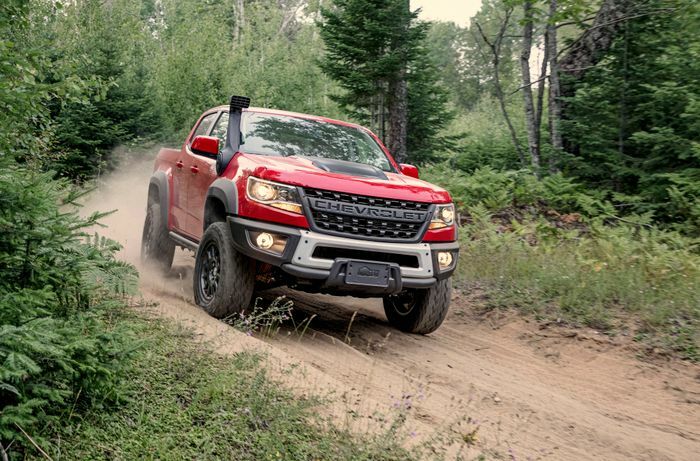 Essentially an adapted ZR2, the Bison uses the same front and rear electronically-locking differentials, Multimatic DSSV dampers, up-to-48mm ride heigh lift and various stronger suspension parts. It adds a host of boron steel bash plates; five in total that protect the sump, fuel tank, transfer case and both differentials. Designed by AEV, they should stand up to almost anything thrown at them. The Bison also has special boron steel bumpers at both ends. Built to take more abuse than the standard items, the front one also has mounting points for a winch. The rear has obvious loops for attaching towing gear if the Bison can’t haul itself out of a sticky spot. 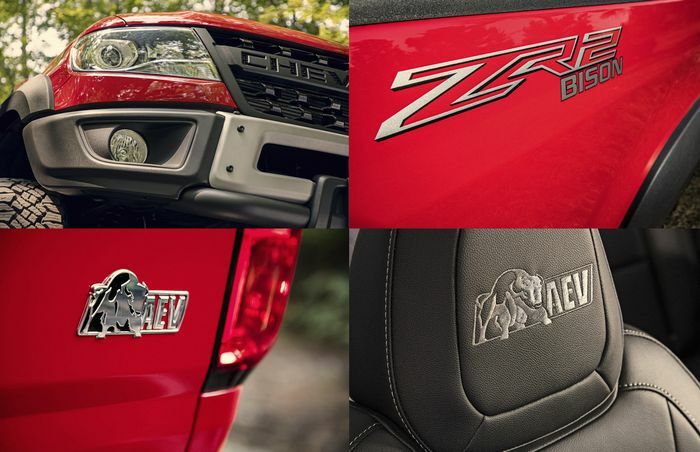 You can’t really miss the Bison badges, either, on the load bed sides, the tailgate and on the seats. You’ll know it when you see it by the written Chevrolet logo right across the grille, in place of the traditional bow tie logo. Goodyear Wrangler Duratrac off-road rubber also catches the eye on the Bison-specific AEV-designed 17-inch alloy wheels. 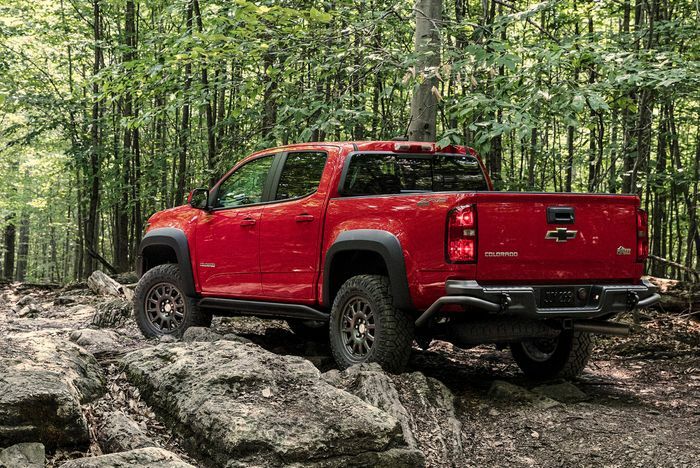 As standard the Bison shares the ZR2’s normally-aspirated 3.6-litre V6 with 308bhp and 275lb ft. You can also get it with the more efficient and towing-friendly 2.8-litre Duramax diesel with only 186bhp but a useful 369lb ft.
Two body styles will be available with two load bed lengths. Among the options is the snorkel you can see in the pics here. Built by AEV, it helps improve the Bison’s wading depth and improves filtration while hammering along dusty trails. You can buy one on North America from January 2019. Prices haven’t yet been confirmed, but we kinda want one.